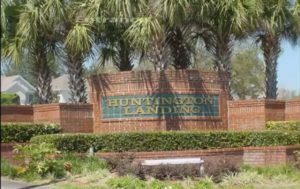 The Huntington Communities are conveniently located just off Lake Emma Road and include the communities of Huntington Landing, Huntington Ridge, and Huntington Pointe with a total of 326 homes. Amenities include a community pool, playground, basketball and tennis courts. These communities were built by Pulte between 1996 – 2000 and remain one of the few places to find newer homes with average prices ranging from the low $200’s to high $300’s. Lot sizes are typically small, unless you back up to Myrtle Lake. Conveniently located near Lake Mary Business Parks, shopping and top-rated Lake Mary Schools.